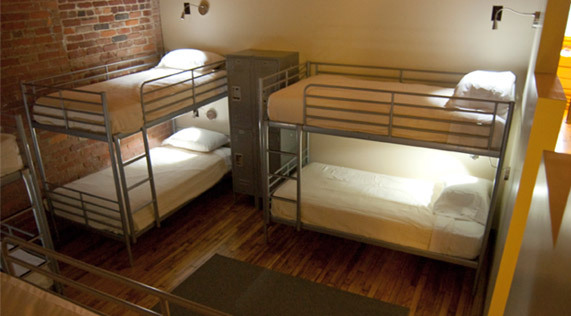 At Sweet Peas, we have two coed “bunk areas” with 8 beds each. All bunks are equipped with individual outlets for electronic devices, a reading light and free wi-fi is available throughout the hostel. Pods are special Sweet Peas Creations! 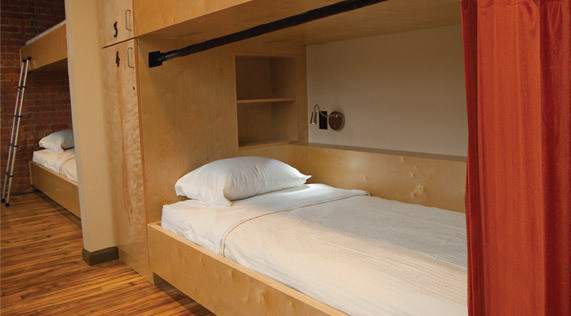 A “Pod” is an extra long twin bed, reminiscent of train car sleepers. Each Pod has shelving, a spacious locker and an acoustic curtain for extra privacy. All pods are equipped with individual outlets for electronic devices, a reading light and free wi-fi is available throughout the hostel. Small private rooms with extra long double beds. 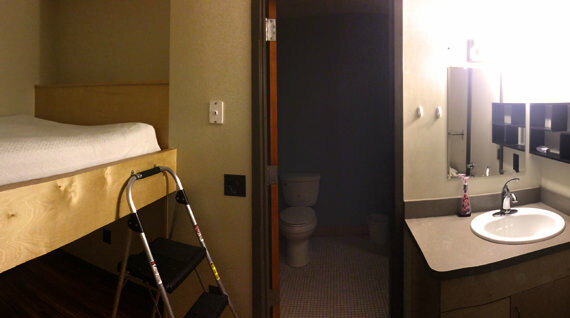 These rooms include a private sink and locking doors. 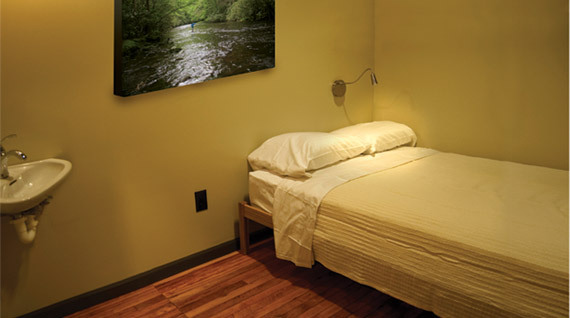 All are equipped with individual outlets for electronic devices and free wi-fi is available throughout the hostel. The Studio is a private room with a lofted double bed, a private sink and vanity, as well as its own private bathroom and shower and free wi-fi is available throughout the hostel.